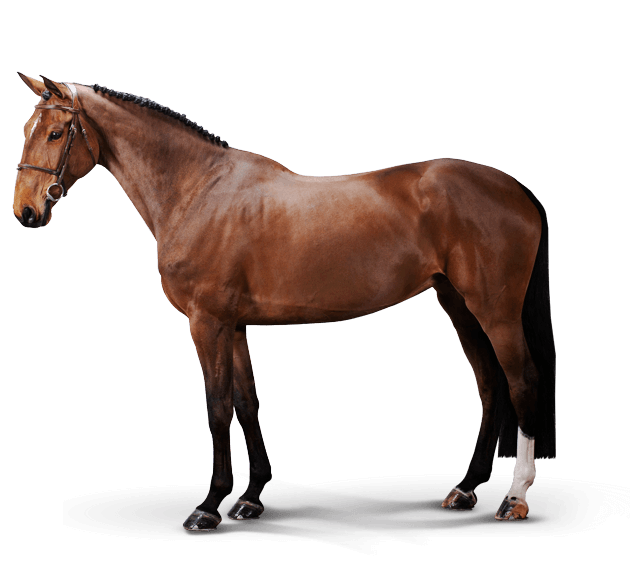 Top Grand Prix professional prospect, this fantastic mare can suits many gentle riders and even a woman touch. Scoopy, careful, competitive and very intelligent, HATHINA Z has a very good balance as well. Her father, HARLEY VDL, has already several offsprings showing at international level and an excellent reputation. Her dame-line is also very strong. Light on : HATHINA Z (HARLEY VDL x NUMERO UNO). Top Grand Prix professional prospect, this fantastic mare can suits many gentle riders and even a woman touch. Scopey, careful, competitive and very intelligent, HATHINA Z has a very good balance as well. "Hathina is very intelligente and very competitive"
"Hathina is an amazing mare, with a good technique"